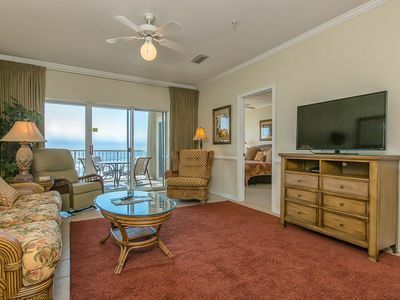 CONDO DIRECTLY ACROSS THE HALL AVAILABLE AS WELL - Previously VRBO 465883, and upgraded by new Owners! 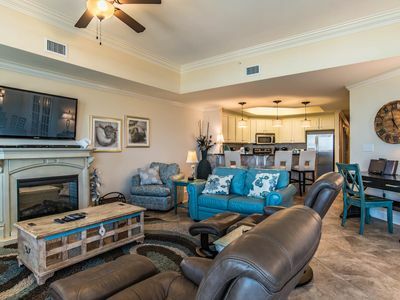 Welcome to beach resort luxury at its finest! 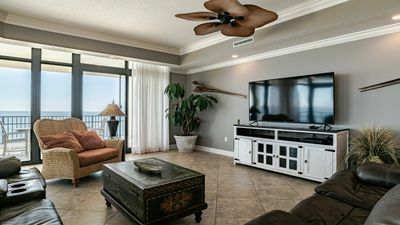 Caribe Resort is one of the upper tier condo complexes on the Alabama Gulf Coast with an excellent reputation. 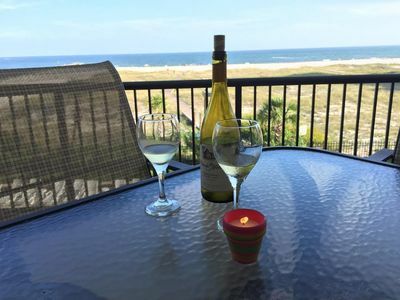 It sits on the corner of Perdido Pass with gorgeous views up and down the coastline, pass, and bay. 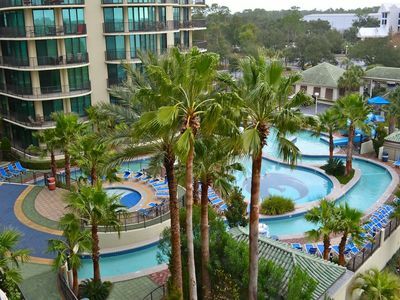 Caribe Resort has FANTASTIC AMENITIES. 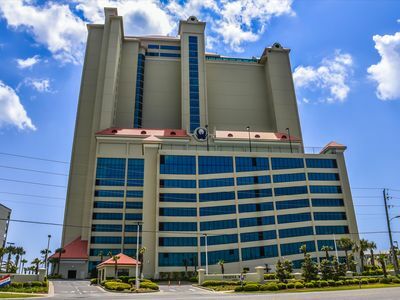 Each building has its own saltwater outdoor pool with slides, indoor heated saltwater pool with Jacuzzi, and exercise facility. 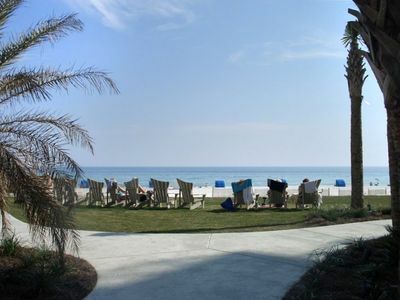 The resort also has a lazy river, a poolside bar/grill, natural and artificial golf putting areas, numerous tennis courts, a basketball court, bocci ball courts, a deli, an ice cream shop, a 5 star restaurant, boat/jet ski rental, and fishing charters…….all right on site. You never have to leave the resort! 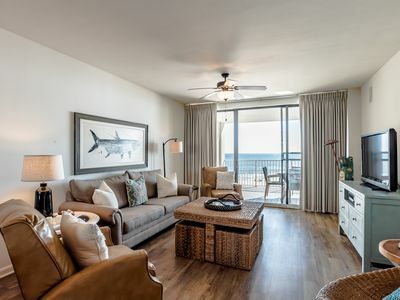 You will find that our condo is one of the most updated units in the building as it was remodeled at the end of 2017. 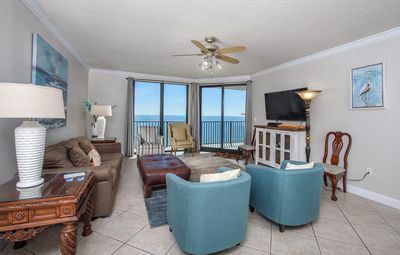 The condo is a spacious 4 bedroom 3 bath 2100 square foot unit located on the fifth floor in the envied corner location with a huge 600 square foot wraparound balcony providing the best gulf and beach views. The unit has crown molding, 9 foot ceilings, upscale fixtures and appliances, granite, and tile throughout. The décor is gorgeous. The Master Suite is very spacious and has a very comfortable pillow top king sized bed. 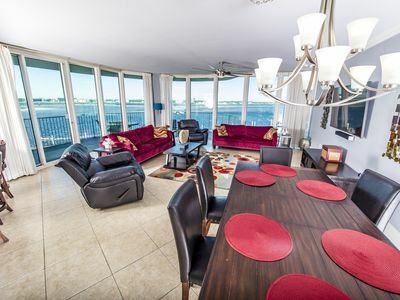 It overlooks the bay with beautiful views through many floor to ceiling windows and has a sliding glass door to the balcony. The 42 inch HDTV with DVD player is also a great luxury. The bathroom includes two sinks, a stand up shower with double shower head, a separate large Jacuzzi bathtub, and walk-in closet. Guest Suite One includes its own queen sized pillow top mattress along with new furniture. The 32 inch HDTV with DVD player is an added feature. 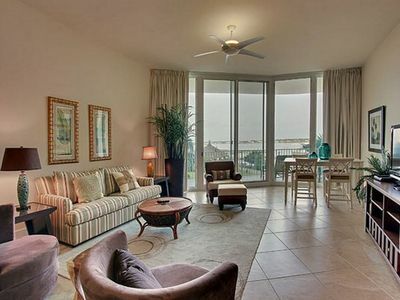 This suite also has a floor to ceiling windows and a sliding glass door that leads to the wrap around balcony. The bathroom has ample closet space with its own bath and shower. Guest Suite Two has a queen sized pillow top bed along with a flat screen 32 inch HDTV. The third full bathroom is adjacent. The Bunk Room is the perfect solution for a multi-family vacation. It has two twin bunk bed units to allow up to 4 to sleep in beds in this room. The Bunk Room also includes a sofa that faces a wall mounted HDTV with Blue Ray player and gaming console. 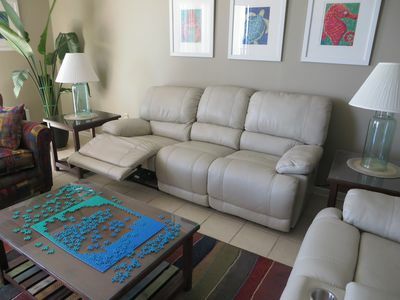 There are several movies, board games, and a Wii video game console for guest use. The kids will love the Bunk Room! The living area is large and includes stunning views out the floor to ceiling windows that span two walls. It has two beautiful sleeper sofas and 2 comfy lazy boys with a 70 inch 4k UHD Flat Screen, HD Cable service with HD DVR, and Blue Ray player. 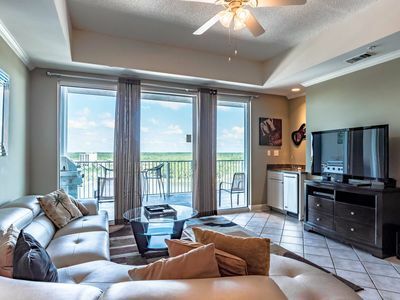 The sliding glass door opens up to the 600 square foot wrap-around balcony with a view that you won't want to leave. The living area also includes a wet bar and icemaker. The 600 square foot wrap-around balcony gives a spectacular 270 degree view of the Bay, Gulf, Robinson Island, and Ono Island. 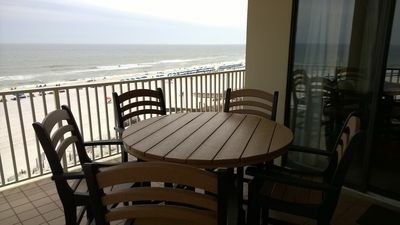 The balcony has a table and seating for 6 to enjoy the views. It also has several chaise lounges and padded sofas. The view will knock your socks off. The dining area has a large table with leaf with seating for 6 along with 5 bar stools for extra seating. 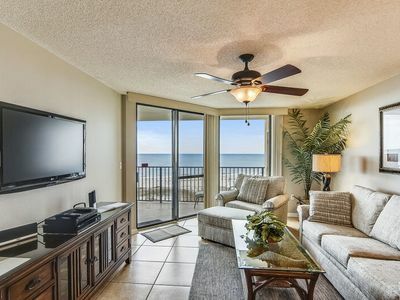 The floor to ceiling windows and sliding glass door in the dining area provides great views of the beach and access to the balcony. The updated kitchen is well stocked with all your needs to prepare any meal. Lots of cabinet space, granite countertops, KitchenAid stainless appliances, and other small appliances provide everything you need. A coffee maker, blender, can opener, toaster, and toaster oven are included on the counter tops. 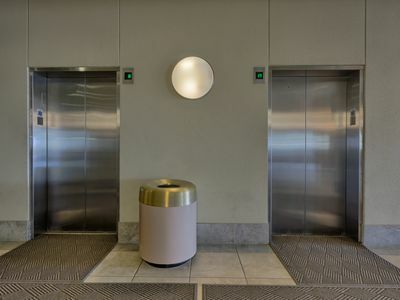 For your convenience there is also a full size Washer and Dryer, iron, ironing board, stroller, high chair seat, , vacuum cleaner, and a broom/dustpan. Caribe Resort provides Free WiFi throughout the property as well as onsite Security. 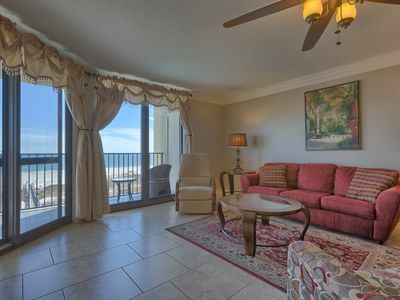 We can't wait for you to experience our fabulous condo at Caribe Resort in Orange Beach. Absolutely no smoking. No pets are allowed. NEW in 2019 recliner couches! 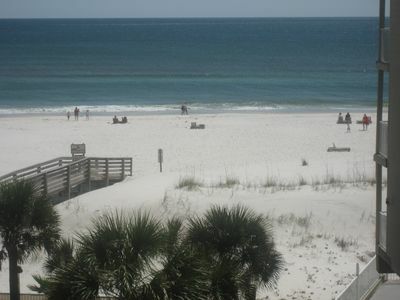 Spectacular views of beach!! Pet Friendly!! 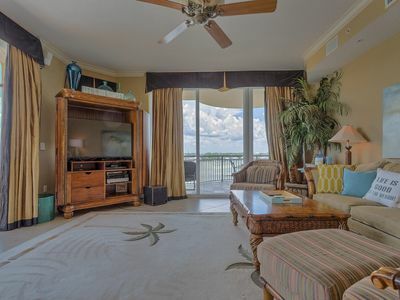 Phoenix on the Bay 2, Beautiful 6th Floor Condo!! 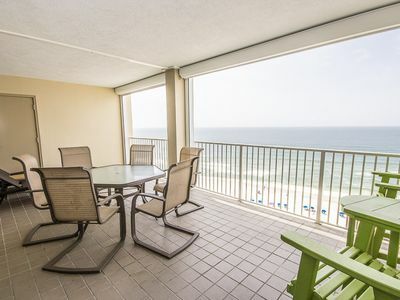 503W - Beautiful Gulf Views from this 2BR/2BA Beachfront Condo! Phoenix West II, Lazy River and Water Slide!! Spring Specials!! 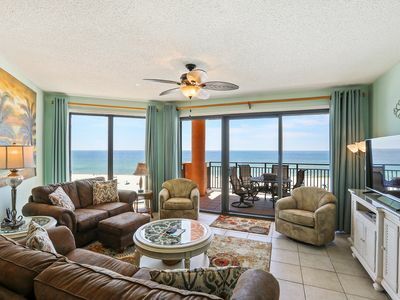 Newly Updated Condo Sitting Directly on the Sand! Access to All Community Amenities! Phoenix West, Lazy River/Water Slide, UNREAL Views!! Spring Deals! !